1971 O'Day Sailboats Catalog — O'Day Mariner #1922 "Orion"
This catalog was very kindly given to me to add to my collection by fellow Mariner owner Ed Killian. 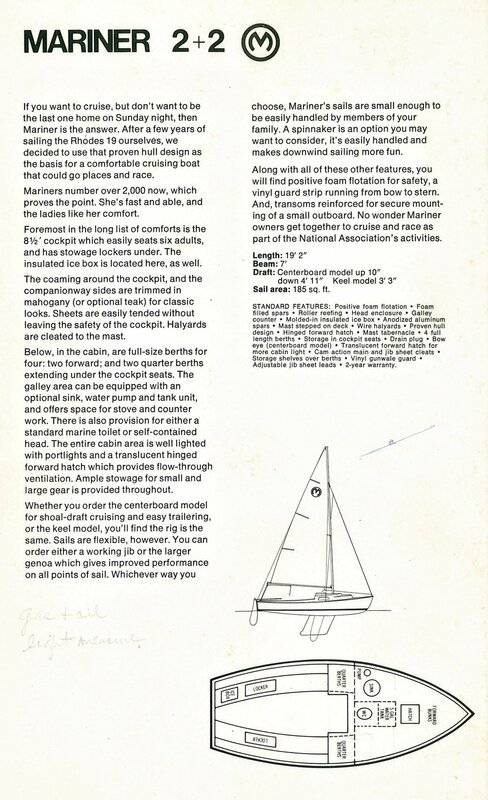 The entire booklet is in black and white and features the O'Day 23, Yngling, Mariner 2+2, Rhodes 19, Day Sailer, O'Day 15, Javelin, Widgeon, International Tempest, and the Swift and Super Swift sailboards. This is stamped with the marking of "Syracuse Yacht Sales" on East Genesee Street in Fayetteville, New York (still in business a little farther down the street).